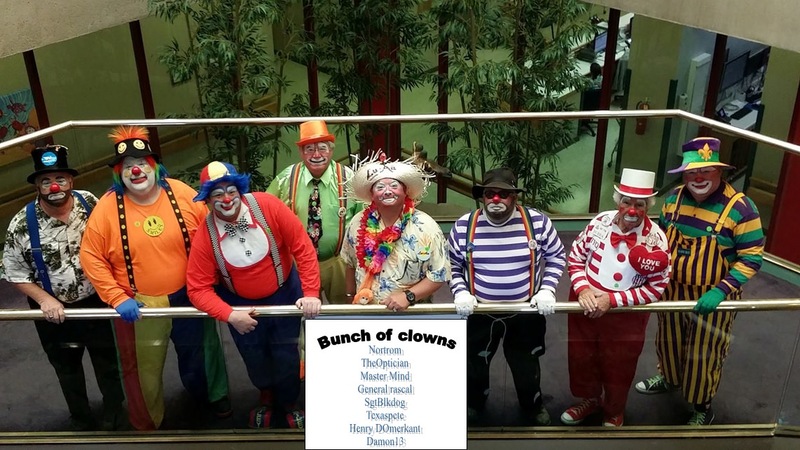 Someone from synergy just pm'd me saying that they really respect the team spirit of the clowns and were considering resigning. I did it in 1 second. Challenge should have been number of moves, not time. For part two of the challenge, your job is to guess what the majority of other players said for each question. Your answers to this part will be posted publicly. Whoever gets the most questions right wins immunity. Please send me your guesses privately. Each question is worth 1 point, you cannot score a point on a question if you did not provide a valid answer to it in part one. Any multiple immunities in case several people are ex aequo with the most wins? Is there anyone who loves asking a question more than the Napster? The wizard of the A.S.S. tournament question 1: WHo is who? ... i guarantee prosperity, richness, success, love, happiness and freedom to whoever cancels his vote against me and votes for Henry Domerkant. Edited by Napoleon 1er, 02 July 2018 - 06:36 PM. While Napoleon's post is in jest, votes cannot be changed after they are read. This synergy team reaks of betrayal. It has been a great tournament very unique and fun. Thank you Astros for hosting and for everyone who competed to make it happen! Goodbye my friends it was a very nice tournament thanks for all the games. Henry, you made the comment that you don't feel like you have a chance in the finals? I believe you have the biggest chance out of everyone to win. Maybe the lack of sleep is getting to you. If you don't mind, could you elaborate on your comment? As long as you win immunity, it does not matter who likes you...besides most people don't like who they are jealous of. Consider it a compliment to not be liked. Looks like you won immunity, good job. When must i send my vote? Edited by Henry domerkant, 14 August 2018 - 09:15 AM.